As the UK distributor of Drivve Image, selectec offer this award-winning scanning solution that gives users the power to capture and deliver documents into modern business systems and cloud services from multiple scanning capture points. As a high performance, feature-rich scanning software we provide an intelligent way to enhance and seamlessly integrate your existing scanning and document workflows. 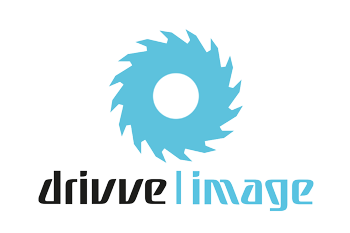 Drivve Image optimizes business processes by intelligent capture, processing and distribution in full security. How does Drivve Image work? Login to Drivve Image at your scan device and access personalised profiles that allow for one-touch automated multilayer scan and distribution processes. Two-way communication between your server, database and business solutions, and your scan device of choice allows you to use existing information to name, categorise and file scanned documents or add important data from manual input, barcodes or intelligent text analysis. Multiple modules help to customise Drivve Image‘s performance to the need of your business and make sure you will find the scanned document optimised and enriched by relevant data and filed at the exact right place within seconds. True Single sign on with world class print management solutions such as PaperCut MF. Utilise OCR to create searchable PDF documents. Create editable documents in Microsoft Word or Excel. Autorotate documents, crop borders, de-skew, blank page deletion and clean up. Define zones and read text only within these zones. Secure User authentication and Digital Rights Management. Search and browsing for network folders. Metadata support and database connectivity with full-text search. Fast and easy installation, automatically configures firewall and required services with a user-friendly and intuitive Admin interface. including: Back office systems, OCR to PDF, Word, Excel, Opendocs, BMP, TIFF and JPG etc.) Bates numbering, document separation), Zonal and Barcode OCR. Microsoft OneDrive, Google Drive Professional (includes printback function), WebDAV and the Sharp Cloud Portal Office. With direct integration with Microsoft Exchange you have the option for multiple To, Cc, and Bcc recipients. You can Email, fax, and archive a document in one step with Drivve Image. You can also take advantage of popular fax servers such asEsker Fax, FaxCore, Open Text Fax Appliance (former Castell), Right Fax, Tobit FaxWare, Venali Internet Fax Services, Xerox XST, XMedius Fax and Zeta fax. Get in touch with our team and be sure to check out the Drivve Image website for the full product feature set.